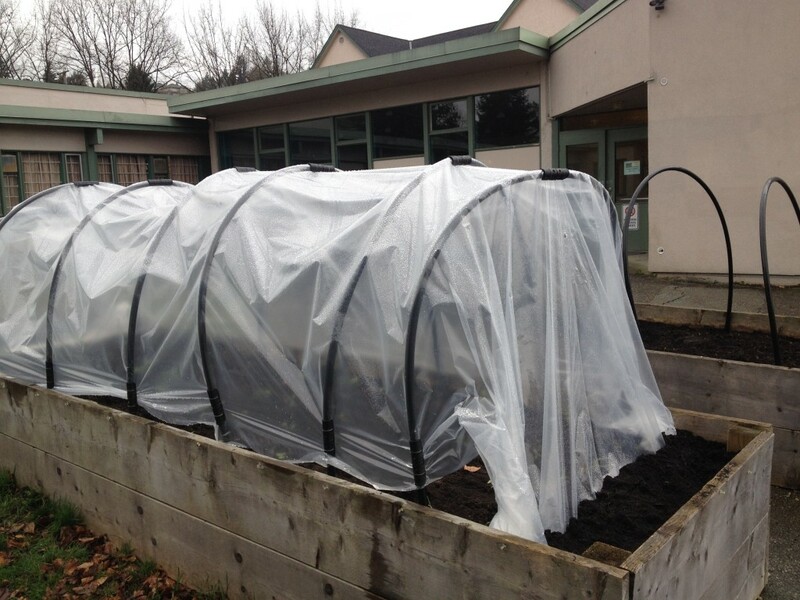 Today we used the piping that we bought last year to build a greenhouse on top of one of the garden beds. To do this, we stuck the piping into the dirt on either side and pushed it down as far as we could. We stuck the piping along the whole bed, then we put a sheet of plastic on top and secured it. We then left it overnight so that the soil would heat up before we planted anything.